Discussion in 'Test Server' started by trakilaki, Mar 22, 2019.
michlong3, MikeyMetro, Dzungla and 3 others like this. 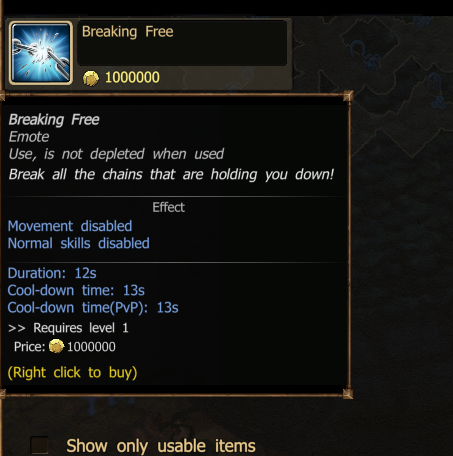 Advanced tooltips are enabled now. The only problem is that you can't see quality of gold enchantment compared to the maximum possible value of the gold enchantment. The percentage is calculated according to the overall maximum value (=maximum "platinum" value) of the enchantment. michlong3, MikeyMetro, _Baragain_ and 2 others like this. Another useless feature just like CV. So they need to work the kinks out, but I wouldn't call it as useless as the CV system (nothing can be that useless)... As the local math expert, I'm looking forward to this change. Please tell me that the pets that you can buy from the merchant for gold are not eligible for this. 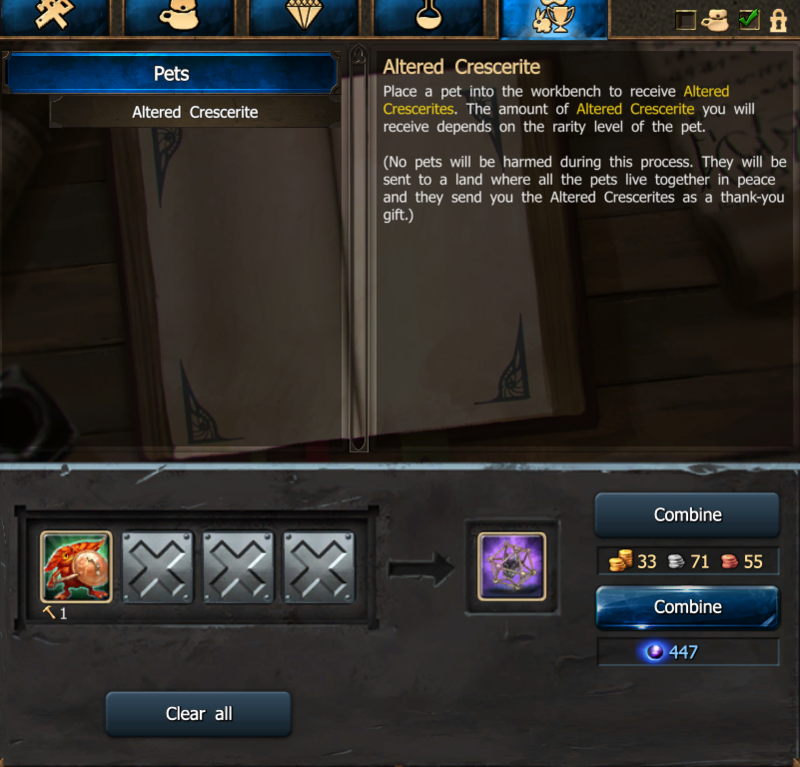 Otherwise, 400 gold means at least one creserite, and one could upgrade a pet fully for 32k gold. michlong3 and TwiliShadow like this. michlong3, TwiliShadow and sargon234 like this. ... Please tell me that the pets that you can buy from the merchant for gold are not eligible for this. 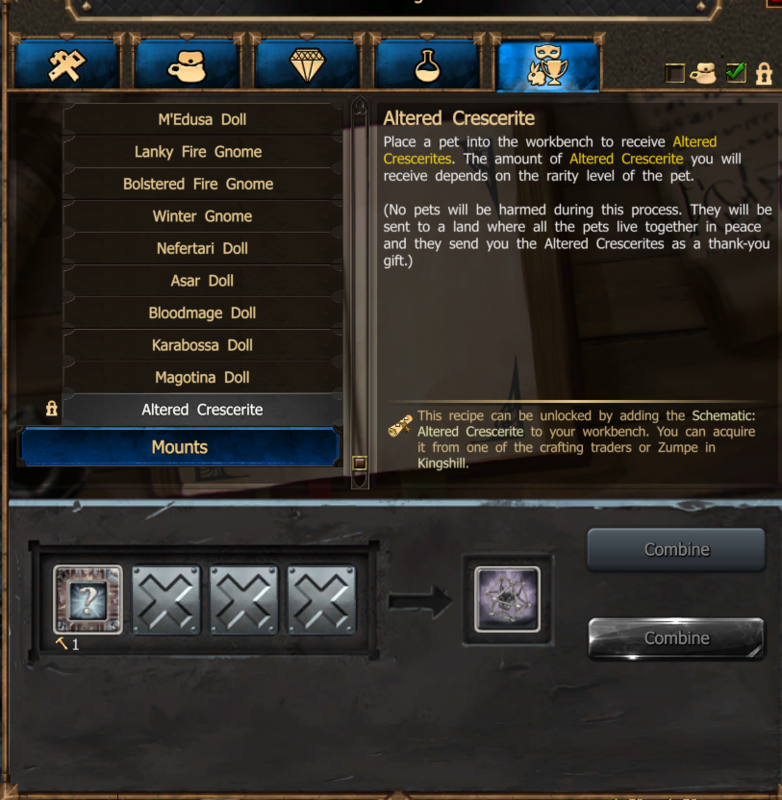 Otherwise, 400 gold means at least one creserite, and one could upgrade a pet fully for 32k gold. Ummm... so what? 32K gold is a huge amount for an average player. Particularly for toons that are not done or near done crafting. And if a toon is done crafting then maxing a few pets takes them from what? 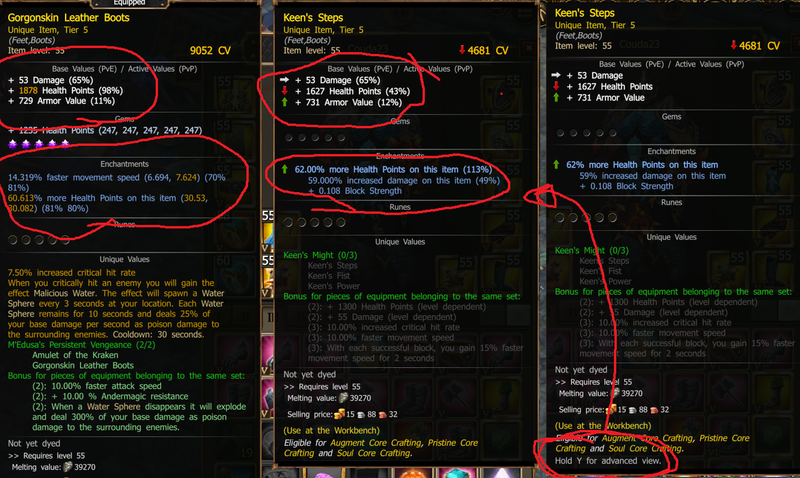 OP in PvE to a bit more OP? Gee, wouldn't that qualify as a bug exploitation??? They've punished and/or eliminated access for much harder, more difficult to accomplish "exploits". Just saying. Pictures can be hosted on OneDrive. By editing/saving as the same name, they're dynamic here. On OneDrive online, use "Embed" and paste address into "Image" input. michlong3 and vegetadavid like this. michlong3 and Balou37 like this. 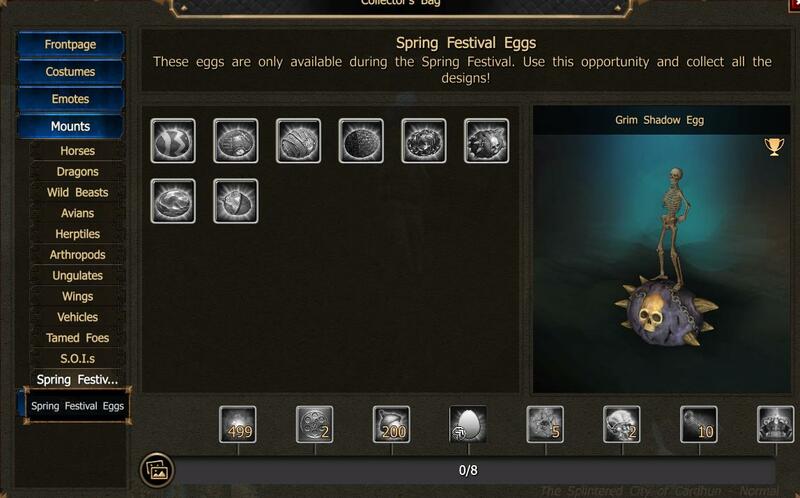 Ok but how to get these eggs mounts? Next event for realm fragments? Copy/pasted mechanics of the "exciting" Anniversary event. You click on eggs and you get progress ... each egg drops only 1 progress ... and you have to collect 13795. On the other hand, why are we melting pets in the workbench? Dev's laziness?? 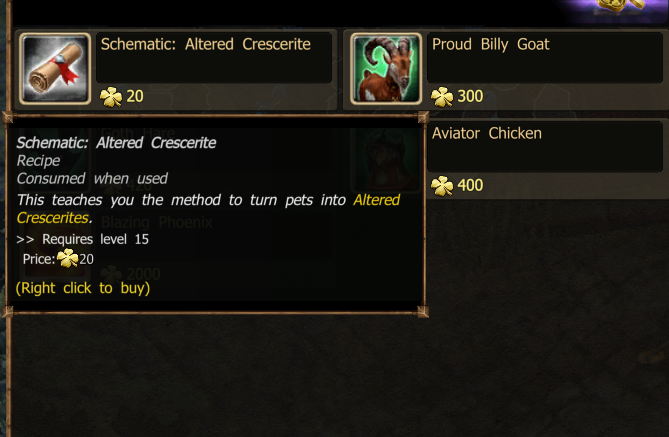 Was it too much work to add to the Mounts vendor an option to exchange 9 pets (like the melting tab of the Blacksmith) for crescerites? azeriatesi and _G_R_A_M_P_S_ like this. Thanks Traki for the preview. I cannot get my head around those percentage values or what they mean. The more I look at them, the more I get confused. May be it is too advanced for me. I'm going to agree that this is a bit confusing. For both the top of possible gold should be 100% and platinum lines should show 100+%. Because none of these numbers are relavent to the range of what is normal, considering that the infernals drop things that are (ex 60-120% of normal. And now we have platinum above that. I can see where people that aren't math majors could get confused and wonder just how far can one get? I know the tables exist somewhere on max possible stats, but even I can never remember where. I am not sure what You understood. I don't think these numbers are relevant to the maximum possible values. If that was their intention, then they definitely fell short of it. 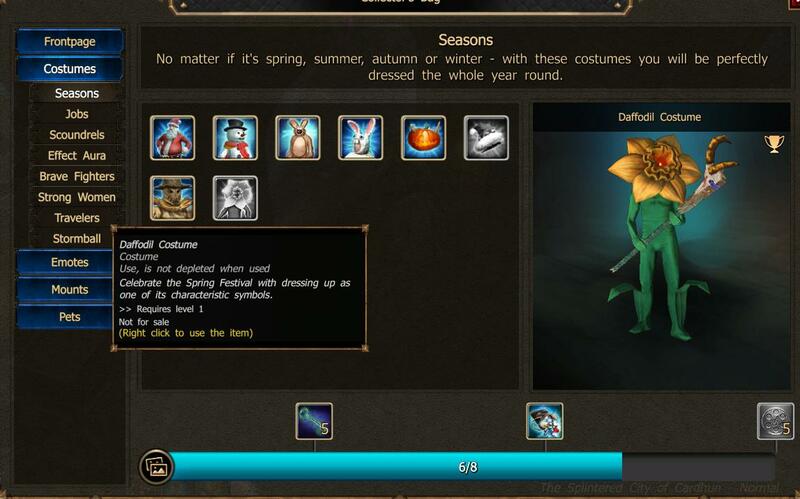 For example, look at the armor value of the boots listed 729 as 11%. We all know boots does not have a maximum armor value of 6627 in any tier.